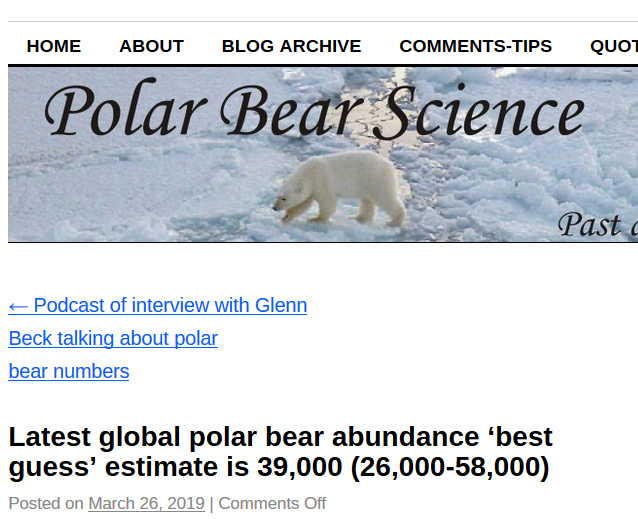 It is amazing that the polar bear alarmists, who have been warning about the decline in bear populations, have now turned round and claim that their numbers were just made up all the time! Rush Limbaugh talked about Susan’s new book on his show yesterday. Another CAGW Icon bites the dust. Nope, it’s in the list of ‘irrefutable proofs’ now, a zombie fact, like 97%, 40,000 excess deaths…….. they never die. Given that the alarmists went to the extent of writing an ad hominem report and getting it published is proof that Dr Crockford is correct. When they start screaming you know are hitting the target. 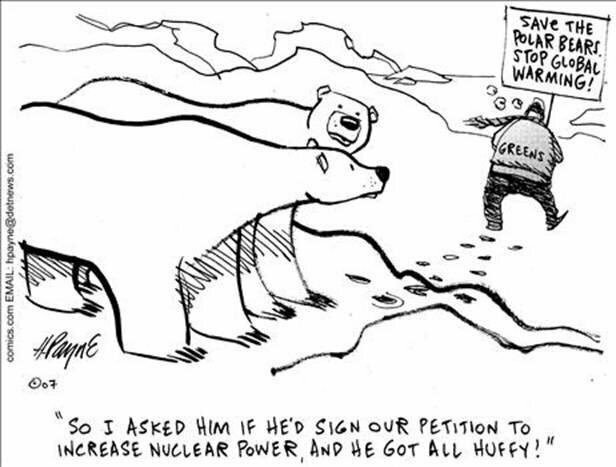 I am now in the habit of looking for Susan Crockford’s research findings whenever the issue of polar bears is raised. She is the credible source. It does alarmists no good that they are not. Attenborough’s forthcoming documentary about “Climate Change” was given free publicity on BBC R4 Media Show this afternoon, despite the fact that its to be on Netflix, not on the BBC. The trick employed by R4 is to give publicity to something, in the guise of dealing with something more general, in all cases a favoured person is allowed to broadcast their world view to the nation, with no dissenting voices. The producer of this Attenborough thing was asked about politicisation, another BBC trick of appearing to be balanced, but the objective is to dismiss inconvenient arguments. Sure enough the question was dismissed, because the programme will simply be giving “The Facts”, which have been provided by … WWF. We can be sure that rapidly declining polar bear numbers will be trotted out as gospel, because WWF says so. Oops, Attenborough “has a series” (actually he just reads the script written by the WWF marketing dept.) called “Our Planet” to be shown on Netflix, … AND a single BBC programme about “Climate Change”, presumably he will just hang on every word from the Climate Consensus Priesthood.